Water is required by plants all year round but mainly between April and the end of September. Trees, shrubs and hedges planted less than five years ago require water to encourage root growth into the surrounding soil to enable the plants to establish and flourish. Established trees, shrubs and hedges do not generally need watering because they have far spreading roots and it is best if they can reach and survive on their own water resources. They can however suffer during excessive drought conditions with growth rate slow, leaf drop or even die-back so we will only recommend watering in these extreme circumstances. First and foremost, try to keep the soil from drying out and letting drought set in. If drought does set in a thorough watering is required to moisten the soil around the roots. Light watering will only encourage the shallow roots and not penetrate to the deep roots which will leave the plants more susceptible to drought. Light sandy soils require watering more often than heavy soils, but less water can be applied at each watering. Heavy clay containing soils can be watered less frequently but require larger amounts of water because they hold more water within their structure. If unsure, an inspection of the soil can be made at a spades depth (30cm / 12”). If the soil feels damp there is unlikely any need to water, but if it is dry watering is required. Don’t rely on the rain, especially during the summer as most often it doesn’t soak deep enough into the soil but simply wets the surface and then evaporates. 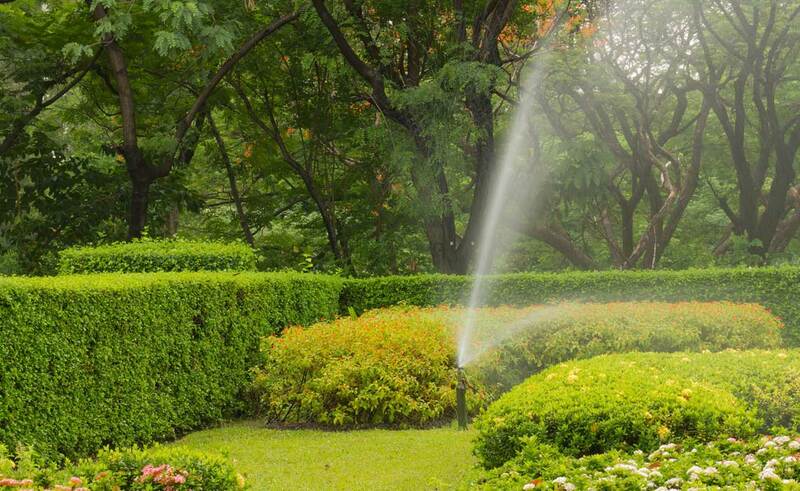 If watering is carried out early in the morning or in the cool of the evening less water will be lost to evaporation. Removing weeds as they appear near to the trees, shrubs and hedges is vital because weeds use up valuable soil moisture reserves. It is important to remember that too much water will do more harm than good, as the roots of many plants will not tolerate waterlogged ground and air in the soil is as important as water. The addition of mulch under and around trees, shrubs and hedges using either bark, composted woodchip, peat, straw or gravel reduces moisture loss from the upper layers of the soil, allowing water to soak through to the roots, but preventing loss through evaporation. Mulching also reduces the competition for water by suppressing weed growth. Time consuming and labour intensive, watering by hoses or watering cans should be aimed specifically at the base of the trees, shrubs and hedges, beneath the foliage leaving the surrounding soil dry which limits weed growth and ensures that all the water gets to where it is required. This is by far the best way to water hedges, especially when it is controlled by an automatic timer making it both economical and efficient. Trees and shrubs can also benefit by having circles of the dripper pipe laid at their bases. 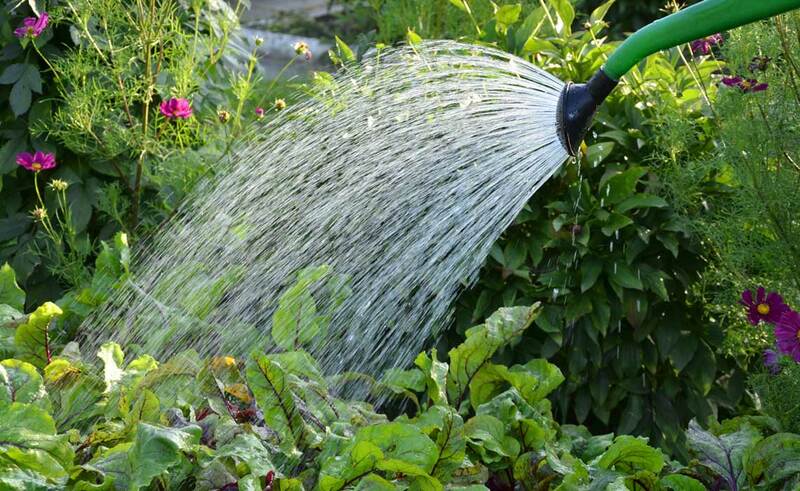 Watering amounts and times can be easily adjusted as required. 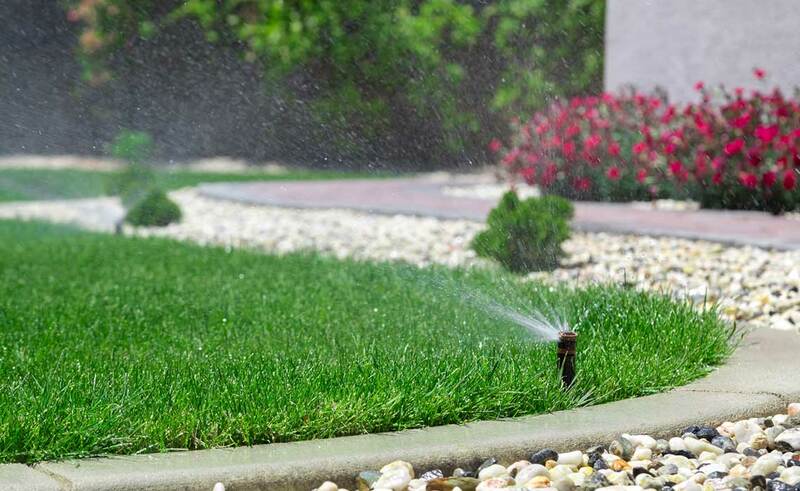 Covering wide areas, sprinklers are ideal for lawns and recently seeded areas but we do not recommended them for watering trees, shrubs or hedges, as the water is not directed, directly to where it is most required. This is not an easy question to answer as soil types, weather conditions and locations have effects on how much water a plant will require. 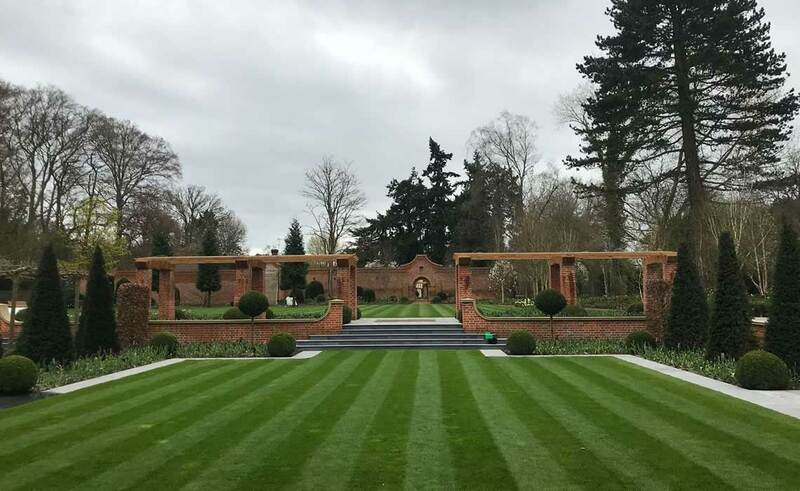 Every horticultural professional will have their own recommendations for example; The Royal Horticultural Society suggest as a general guide that up to 24 litres per square metre (5.2 gallons per 10 square foot) every seven to ten days will be sufficient to maintain plant growth. In our opinion, by following our guidelines and above all, the regular monitoring of the appearance of the plants together with the moisture content of the soil around them is the most accurate indication of when and how much water to administer.